It is my pleasure to introduce you to one of my local farmers, Ron and Cherri Clark. The Clarks have been tending this beautiful patch of earth for years, producing primarily organic strawberries but also squash, beans and other produce during the off season. They sell their berries to local stores but also open their land to the public for a much anticipated annual U-Pick. 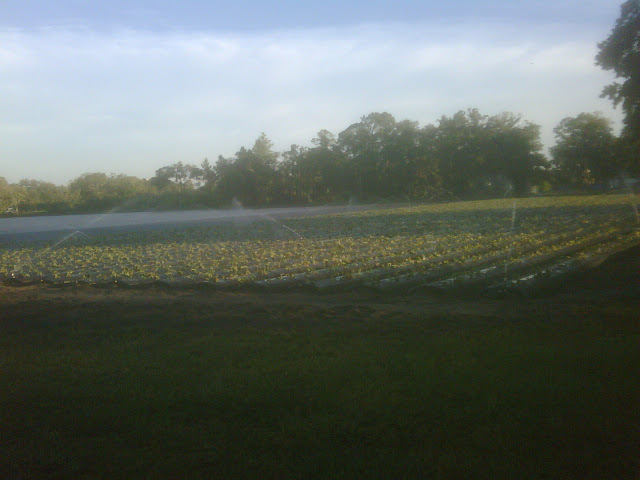 Jordan Farm is the only “in the dirt” organic strawberry farm that I take my family to. Do I go to the local, organic hydroponic farm? No way. Ron and Cheri’s berries are much more nutritious and, hence, last longer. I love that I can let my children run wild in the strawberry patch, picking berries right off the plants and eating them with no fear of pesticide residue or chemical fertilizers. I would never allow my kids to participate in a strawberry U-Pick at a conventional farm. Strawberries are one of the most highly sprayed crops and the thought of them picking berries in such a polluted environment is absolutely out of the question. On the other hand, exposure to “clean” dirt is good for children. It primes their immune system and helps them avoid allergies. Kids who play in the dirt are healthier than those that don’t. Getting your kids out to local farms where they can be exposed to soil based microbes in an unpolluted environment is a great thing for their health. And besides, it’s so much fun too! Who are the local farmers that are dear to you? If you don’t have any, don’t you think it’s about time to get to know these hard working folks and have them part of your life?